“Life’s fair and I will get my share”, Priyam penned as she sat on her hostel room desk on the first day of her course in engineering. As usual she was pouring her heart out to her best friends, her notebook and her pen, where she has practically concealed all her emotions so far. Over the years, she has weaved her own world of words and had a perennial secret affair with them. Her words were her power, her most priceless possession. Every night, she caressed them softly and they loved to dance to her tunes. It was this unique bond of the two that despite of all the upheaval she has faced at such a tender age, she has still managed to keep her thought brimming with optimism and that is what has aided her sail smoothly through the rough seas, so far. Today she has joined her dream institute (nothing less than an I.I.T. could have made her prove herself to all those who have always questioned her self-worth) and her first day has been more than happening. So here she sat in her couch indulging in a candid one of its kind rendezvous with her besties, the words, which looked so heartening on the beige sheets of her coral notebook. After months, she has felt good today as she was gradually inching towards her goals. But time was running out. Her heart went out to her little brother and her mother who were waiting for her. She pulled out a snap of theirs from the crochet sling bag her mom has made for her and the kissed the two of them. The two of them meant everything to her and they were her inspiration. Thinking about them, she took to her world of her notebook and pen again, reassuring herself, “The dark night is over and this is the onset of a new bright phase, if not anyone else, with you, my Lord, you stay and aid me work wonders, uninterrupted and unhindered.” The Clock struck twelve and she gradually skid into a deep sleep to welcome a promising new tomorrow. I found her positivity and self-affirmation very intriguing and contagious for I have never seen someone as focussed and clean hearted. She was as calm as a placid sea yet one can witness a crazy storm in her eyes. If you wish to know what the next lovely morn had in store for her? Whom did she meet? 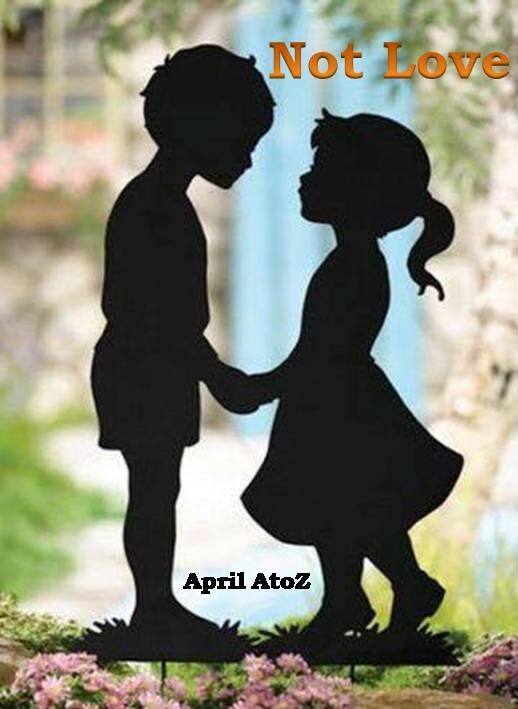 Was this a new beginning of a relationship of a lifetime…...I shall be releasing every consecutive volume each day of April barring sundays. Stay Tuned. 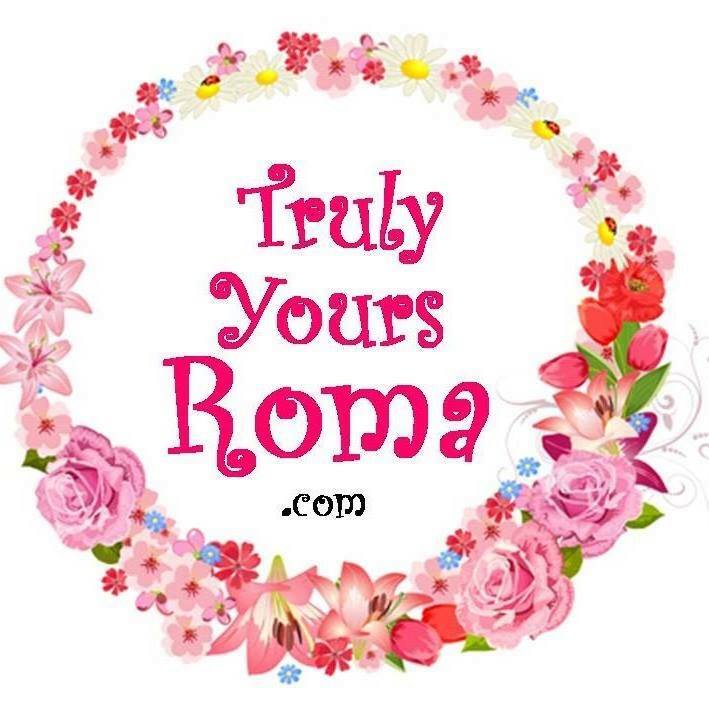 My Precious Readers, Here I am, Truly Yours Roma, bringing to you whole of April (in #AtoZChallenge ) a sweet and candid tale of Priyam and Meer who are a wonderful set of human beings, hoping that the fragrance of their beautiful relationship touches and tinkles your heart and stays in it forever. Parenting is like a vast ocean, there's always a risk involved no matter how good a swimmer you are. 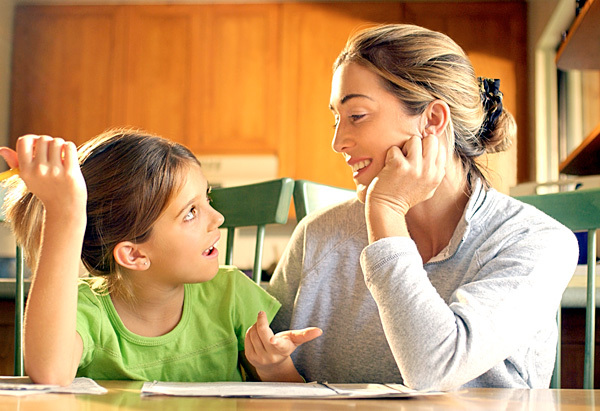 No books can ever make us a hands-on mom or dad only experience and instinct can. No same set of rules apply for two kids but having said that I do believe that one must refrain from saying a few things to their little ones. The reason is our children are our reflection. They shape up exactly the way we mould them into and most if true time it's our words which are playing with their consciences more than we can even imagine as for them we are their whole world. Below are the few things, I believe one must never say to his/her little one and if it becomes absolutely mandatory find an alternative ideal way of doing it. 1. "No" : We don't have an idea how many times per day we say 'No' to our little buddies presuming that we are the best judge of what is good or bad for them. Of course we are, but our no breaks his confidence, makes him feel he's incapable of undertaking a certain task and kills his urge to volunteer or help. Worse he absorbs that no is the way of life and so every time we'll ask him to do something he'll naturally say No. Thus as parents we must make the wisest use of this powerful two letter word. For someone like me who has always been relentlessly impeccable and on top of her job, this was the first time ever a new responsibility was making me shudder. My little precious one was such a tiny soul. I was sceptical in everything I did for the first few hours – if I was holding him correctly, if my feeding position was correct…what if I accidentally pressed his nose or if I fell asleep and shifted over him? But gradually, as the feeling sank in, and the motherly instincts took precedence, things automatically fell into place. Thankfully, it has remained so for the rest of the time till now with of course a little hiccups here and there. 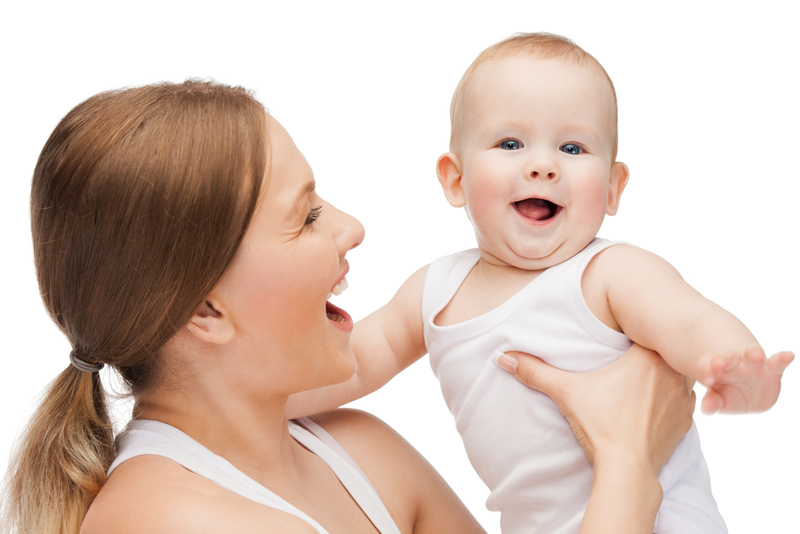 Continue reading the rest of the article on World of Moms Here. Well I do believe that the first glimpse of a person carves his or her, lasting impression in the eyes of the onlooker. We undeniably live in an age where beauty isn't only skin deep or lies only in the eyes of the beholder, it is our asset we must preserve, nurture and take due care of and even seek adequate guidance in hour of need. Plus a beautiful and healthy skin makes you feel beautiful and healthy inside, so there is every reason we diligently work on it. This was exactly on my mind when I accepted the special invite to the #VLCCStyleStatements Bloggers Meet in Pune. 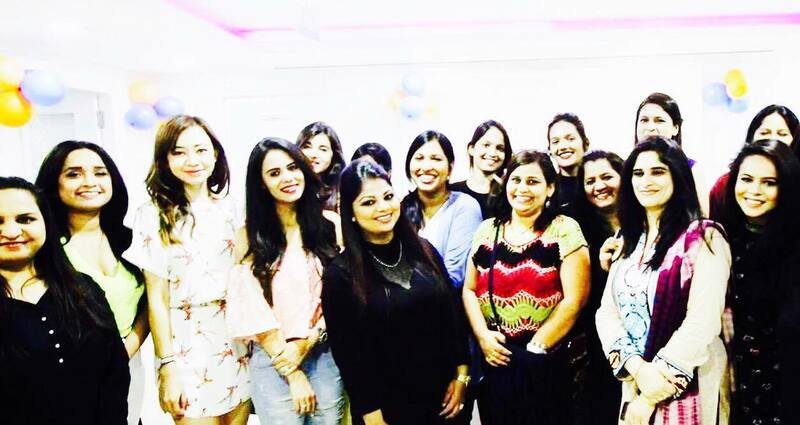 I wanted to apprise myself with the latest and the most sought after discoveries in beauty therapies and there couldn't have been a better way of learning the same from the masters themselves ~ VLCC. 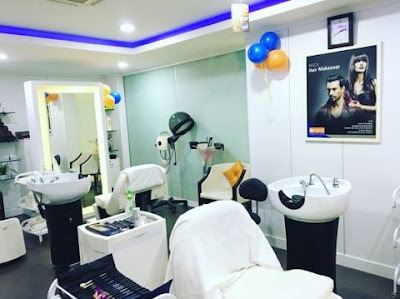 And this I say based on my fruitful association with them on many previous accounts for slimming and pre-bridal and bridal packages which left me more than satiated every time. So I was sure, VLCC is surely not only about slimming, as the myth says. This was my chance to brush up on their beauty technologies like their most praised Vampire Facelift as well enjoy some much needed pamper in the due course of the event. I reached the event I guess dot on time not a little early or too late and was delighted to join in an already fruitful informal one on one discussion with Sushmita Verma, the Category Manager for VLCC Beauty. Cool and composed, she seemed like an encyclopaedia of what can aid us the best to embrace timeless perennial beauty. 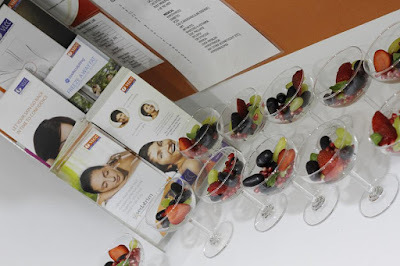 While she highlighted how in today's stressful times we must have a dedicated skin regimen and if required some advanced beauty treatments, the best foundation for it is laid by leading a healthy lifestyle, eating right(a DNA Diet) keeping hydrated by drinking plenty of water. Next, we were delighted to meet their lovely team and take a tour to the centre understanding the underlying principles for their various treatments. Wisely enough post we accumulated the vast heap of knowledge we were blessed with some awesome pampering by their hands on trained to the tee beauticians and masseuses. A special mention of Mr.Nelson whose foot massage seemed like a heaven call for always a heel clad me. They work on you and the environment in which you are made to relax is as magical as the therapy itself. So here we were ready again for a real informative and eye-opening Q&A in an open house. It was worthy knowing about the deeply varied beauty treatments for every single problem under the sun from Under eye dark circles, acnes, skin ageing, eye lashes extension, nail extensions and path breaking hair care treatments like Medavita. You can all get it done their and much more. We just need to walk in with our any lone or multiple problems and they offer they promise to offer the best solution to it over a few sittings. 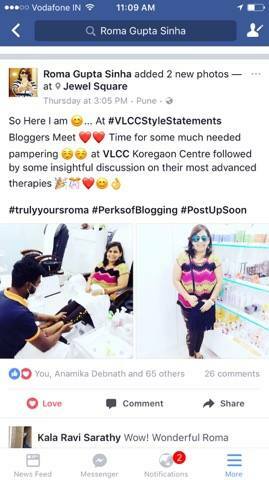 A candid thanks to both Blogmint and VLCC teams for arranging such enriching session on the most globally path-breaking beauty therapies for us. I plan to try some of their therapies myself in the coming months for my under eye dark circles (probably the only curse of being a writer). Based on the expert's advice I shall go ahead with Derma Heal Eye Treatment and the revolutionary Visionergy which is an intensely concentrated treatment engineered to tackle problems commonly faced in the eye contour area. Powered by a blend of potent actives, 3 combinative actions work holistically and penetrate deep into the skin to promote regeneration for an astounding skin transformation. Visionergy also minimizes and aids in addressing current superficial signs of aging while simultaneously performing at a deeper level to prevent the formation of future skin flaws. Skin feels plumper, firmer and denser to the touch and a natural luminosity emerges. A soothing action targets eye bags and puffiness to revitalize the entire eye area, smoothing out skin and giving the eye contours a minimized appearance of wrinkles and lines. Certainly a detailed review shall be up soon. 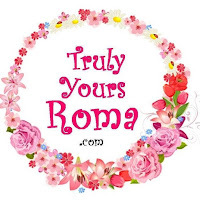 Till then, this is Truly Yours Roma biding Adieu to her friends and precious Readers ! If you face similar issues head straight to a VLCC Centre near you and discover their charming world of conferring your health and skin a revitalising boost. And Voila we have a pleasant surprise for you, use our special coupon code : R6696006 while you book your next service with them and a lovely discount awaits you. Certain decisions rewrite your destiny, become instrumental in laying the right foundation to a journey you really wanted to commence in a lifetime. This is exactly what happened when I took the April AtoZ Blogging Challenge last year. Growing across many towns and cities with my dad's frequently changing posting, I really wanted to do my bit against the atrocities committed on women sadly in every nook and corner of my motherland. With A to Z, I got a global platform to bring forth 26 such true stories to prick the consciences of as many souls as possible and be the face of a positive change and I am so glad all of you showered enough love and appreciation for all the effort put in the genuine attempt to put them up in the truest form (Their being launched as an ebook later were truly gratifying). The genuine constructive feedbacks gave the writer in me a special high and thus I shall forever hold it closest to my heart. This year too after a lot of hunches and being sceptical for a while, I finally overcame all hurdles to make up a strong mind to take up this coveted challenge once again. And this time I took much longer than usual in deciding my theme on what I bring on plate for my precious readers. So here's my Theme Reveal Post touching upon what I plan to knead and weave across my 26 posts this April aiming to give you a sumptuous treat. Since I wanted to write on relationships this time, my thoughts swayed me time and again to those special relationships in each one's life whose mere presence around us makes life so worthwhile. These relationships often lack a proper nomenclature but are identified by the strong feel and connect in what binds the two hearts together. This series of mine is dedicated to such beautiful heart-warming relationships. So Ladies and Gentleman, this summer I bring you A Candid, Sweet and Rare Tale of ‘Priyam’ and ‘Veer’ titled ~'Not Love' and some lovely anecdotes from their life, hoping that they touch and tinkle your soul and stays in your heart forever..... for you will find an ounce of each one of you in them. So, my dear readers, subsequent to my first post on PediaSure nutrition, as promised, here I am with my review of this wonderful scientifically proven kid’s food supplement. We’ve been using it regularly for my kiddo over the last month and chose Kesar Badam as the flavour of the month! I let my kid choose one out of the three amazing flavours that also included Vanilla and Premium Chocolate. That served a dual purpose - one he learns decision making early on; and second, he readily gulps it all down as it is his choice ( aren’t I an intelligent mom?). Also, for my little fussy eater munchkin, who definitely is not the milk-drinking kind, I conducted a few trials and tests; I introduced him to a variety of PediaSure recipes I found on the web. I am so glad it worked out in my favour. I realised my little one is growing up and he now wants a variety of flavours and, as a mother, only some foods with vital nutrients given to him, will make me feel better. So I meticulously carved out a menu for the week that included PediaSure nutrition, but kept it a surprise for him. He actually waited to come back from school and let me reveal the day's surprise treat. I made pancakes, puddings and ice creams, a variety of shakes like a yummilicious banana shake, and other desserts, all enriched with PediaSure for kids. I downloaded the recipes from the website and they weren't tricky to make at all. I must say, it was well worth the effort for my little peanut. All three flavours are always on my shelf; it adds to my arsenal of items to make great meals in a variety of flavours. Now this new regime has changed the very atmosphere in my household. Above all, I don't have to crib for hours and run behind him to eat or drink. The monotony and the same old mommy threats are gone. My child loves the excitement and surprise element in his life thanks to PediaSure usage and I can feel that he is quite happy and adores our new routine. Hubby dear is happy too as I am not complaining anymore in the evenings. 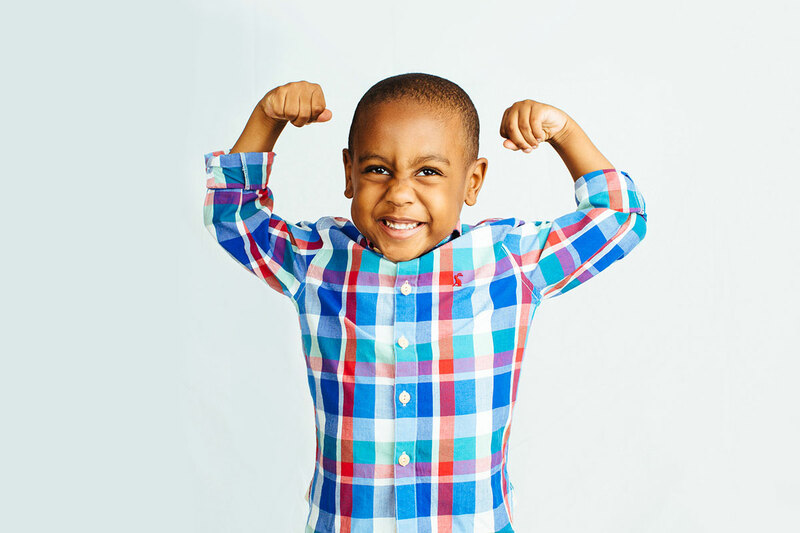 It feels really great when you know that your child, who has never eaten properly, is finally getting all the essential nutrients his body needs to grow. 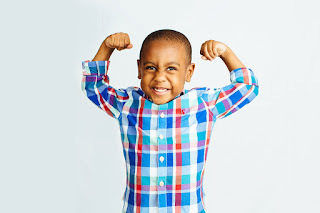 This is also proper nourishment that also reduced the number of sick days as PediaSure nutrition has also been working on building his immunity. As a mommy blogger, I think this is something every mom needs to try for their kid. It is easily available here. Yesterday was Holi, my mum's Favourite festival and so I was so smitten by my childhood Holi memories with her. As I used to be a real shy girl, whenever someone entered our home on Holi with packets full of colours, I used to hide myself behind the loose end of my mom's saree and smiled from there watching everyone else being turned into a messy rainbow in no time. My Mom's Sarees which I initially loved for hiding me from the world and being my safest place, later became my most sought after sartorial delights from her closet. She had a flair about donning them like no one else and her collection was so vivid and unique. 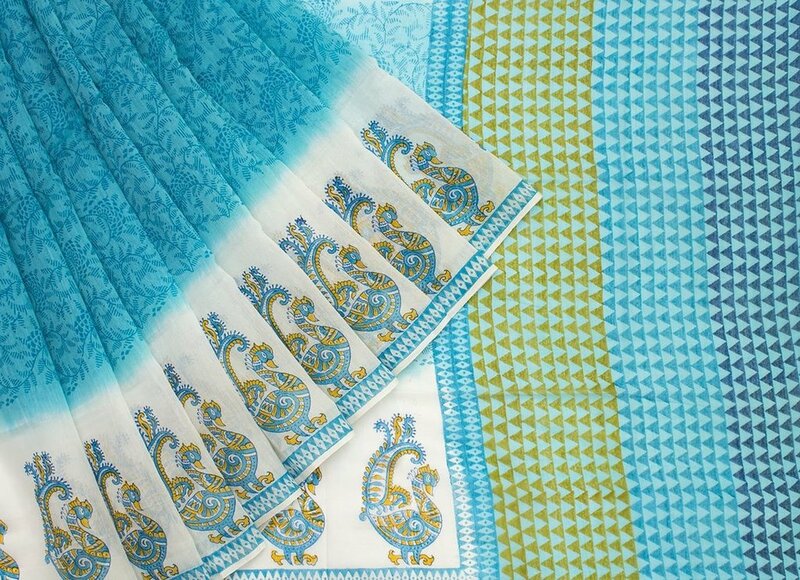 She mostly preferred handloom sarees for she really cherished the impeccable skill of the weavers who created these masterpieces for her. I explicitly remember frowning at her when she spent hours at the saree shops admiring the work and prints on them before picking up the best. Nevertheless, I today realise how she enhanced my knowledge of its different types and how to pick up the best. 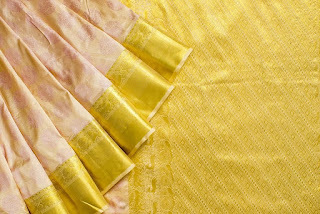 When she left for the heavenly abode some years back, her cherished treasure of those priceless sarees automatically got passed on to me along with some elegant ideas about how to pick a perfect saree for any occasion. Like her I too like to flaunt hand-women sarees whenever I choose to clad in one. When going for work related events or book releases I prefer a sober Chanderi saree which speaks volumes about your style and character in the most subtle manner. 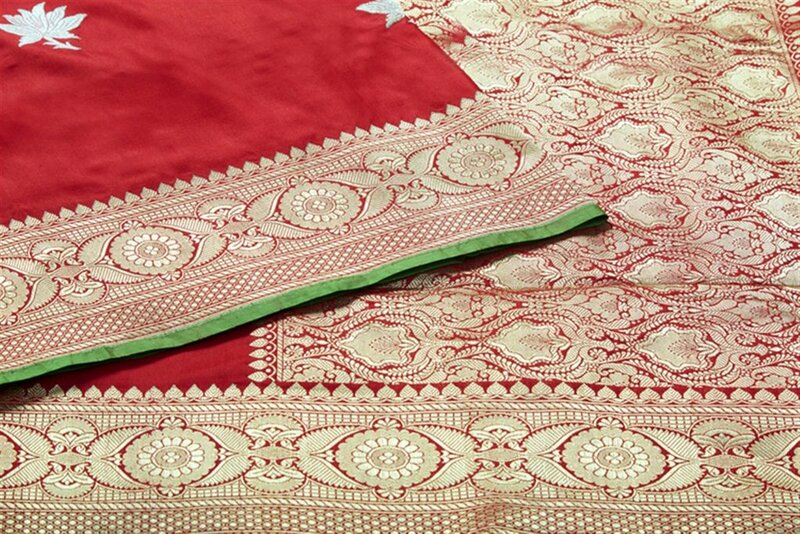 Its crazy avatars from airy cotton to crisp silk notes can woo hearts like no other Indian Dress ever can. 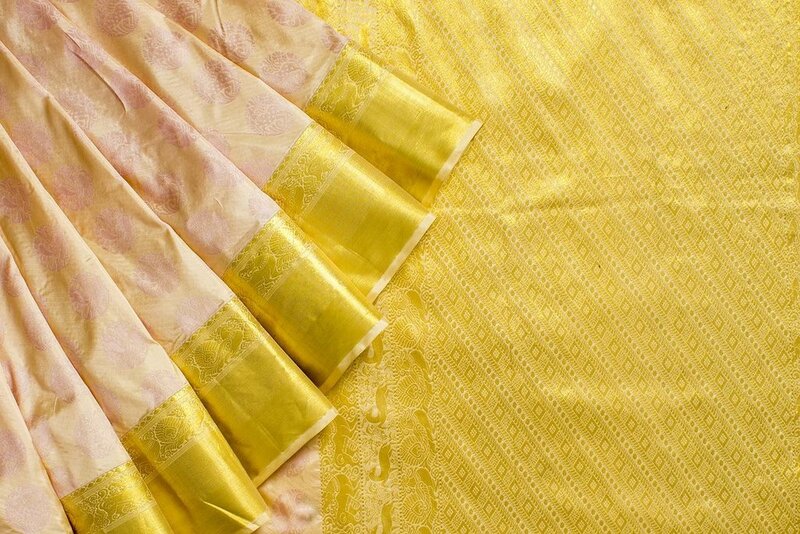 However, for a family function, Pooja and festivals, a classic Banarasi and Kanjivaram masterpiece is imparts perfection and grace to my look. 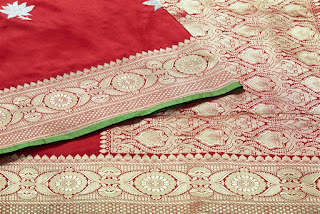 My favourite Banarasi sarees come in hues of reds, maroons and blues and I love them all while my favourite Kanchivaram are the authentic ones which use the Zari from Surat and also has distinct temple motifs. 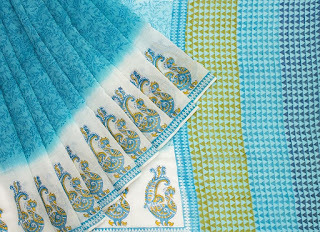 These two are absolutely indispensable for a passionate saree lover like me. 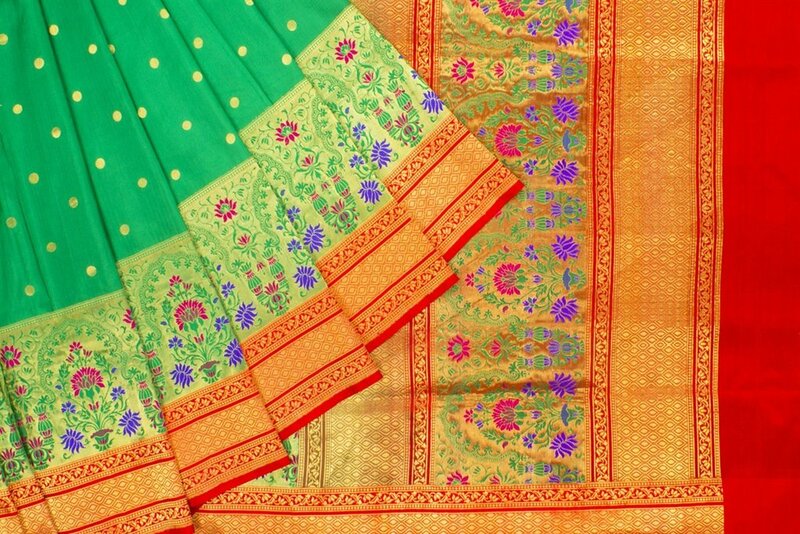 But if there isn't an occasion or an event, my chosen saree shall be a Paithani Saree which accentuates a woman's beauty in its own incredible manner. I always adore the experimental design and artwork weavers merge in them seamlessly. 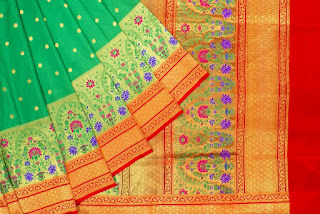 The Peacock motifs on the Pallu and dual tone effect on them enhances the beauty whenever I drape myself in these sartorial enigmas. Though I remain extremely choosy at picking them, possessing my rare treasure of these handloom masterpieces makes me ecstatic and filled with pride. These Sarees undoubtedly shall forever remain my most coveted possession also because each one of them brings back the memories of my most beloved mom and her wisdom. It's exam time folks and my little one is elated as exam times are fun times in our house, I mean it literally. 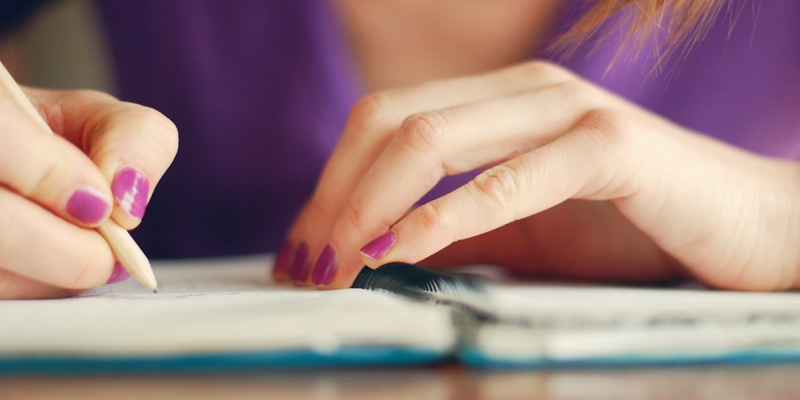 We believe in studying regularly and stay relaxed when needed to write the papers. Keeping the stress levels low and only a quick revision prevents over-burdening my tiny peanut's brain and not suppressing his mental ability. I prefer to let it rest a day before the exam so that he goes out as fresh as a daisy and applies the concepts in the exam paper to the best of his ability. As a mommy I rather integrate more fun during these times to let his creative juices ooze out in a way that can be academically beneficial for him too plus makes his heart go ooh la la in excitement and happiness over his little sense of achievement. And guess that this time what came to my rescue? 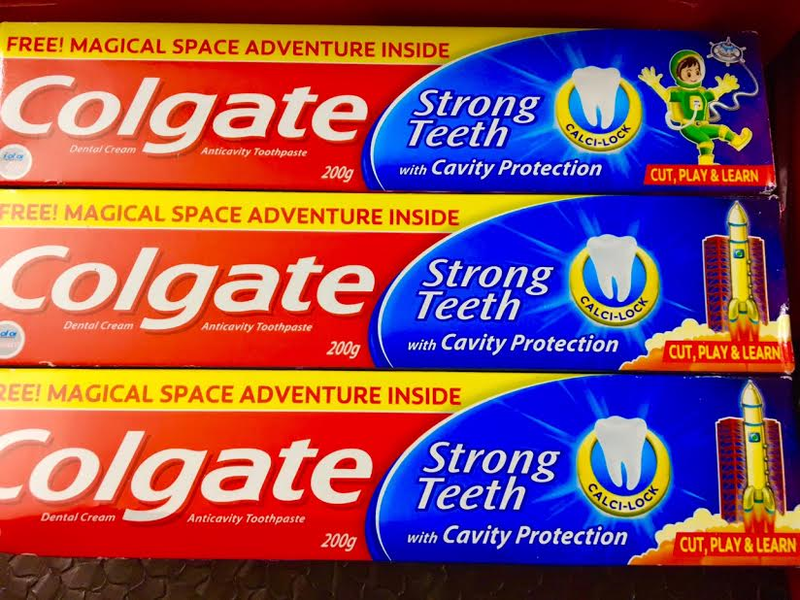 A couple of days before the social science exam, I lay my hands on the magical space adventure packs of #ColgateMagicalStories and I knew I have landed on my golden Talisman all over again. You know how every mommy always keeps some of her favourite cards in her pocket always to surprise her little bundle of wisdom. 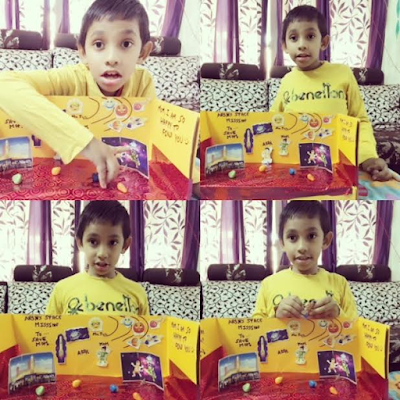 Last two years, he have already weaved many intriguing Colgate Magical Stories on the Magical Castle and the Sea World and there is nothing with makes his eyes shine is anticipation as much as to witness these new packs with altogether a new tale waiting to be brought to the world by mom's adorable story teller. I was so right. On our way back from his bus stop, I told him there is a small surprise waiting for him on the table. This charged him immediately after a energy draining two and a half hours long English exam and he spread his priceless grin, that mom in me loves the most. In excitement, he covered the 10 mins long walk in I guess a little over 5-6 minutes and off he ran to his room only to be happiest little man on this earth. What will the characters be like this time? Aah, I love Space Adventures. 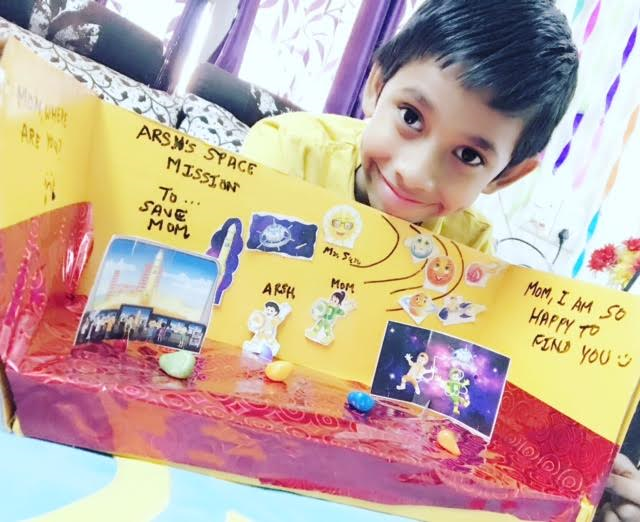 I am a big boy now (will turn 8 soon), I will do it all by myself", his ecstatic pleasure just oozed out in words seamlessly as he thoroughly examined the pack. 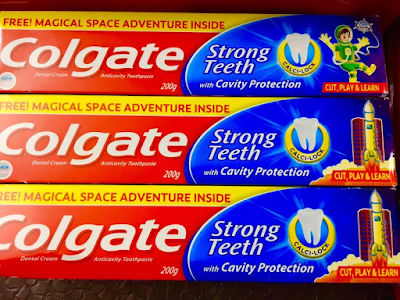 And I knew Colgate has done it again, broken the monotony and help evoke creativity in the most fun way without even the little kiddo realising it (The icing on the cake this same excitement runs down his veins as he brushes his teeth with every mom's trust, Colgate, always hoping what surprise the next new pack will unfold for him). No, the school uniform was not changed, the lunch was not served, until he has cut open and had a sneak peak of all the adventurous space characters. I smiled in my heart as space was a significant part of the curriculum for his next exam and what better way to revise the monotonous subject than weaving stories around them.Thoughts and stories began churning in his brain and I had to literally pull him out to change and freshen up and have lunch before embarking on his space journey. Contrary to everyday, all of it was finished precisely in 15 minutes and impeccably. What followed was a mommy sonny candid discussion over planets, rockets, satellites, astronauts etc. We talked everything from what would we like the characters to be knows as to how he wishes to become an astronaut when he grows up. Post that I gave him about an hour of free play to juggle with the characters and weave his best space adventure escapade and left his room. 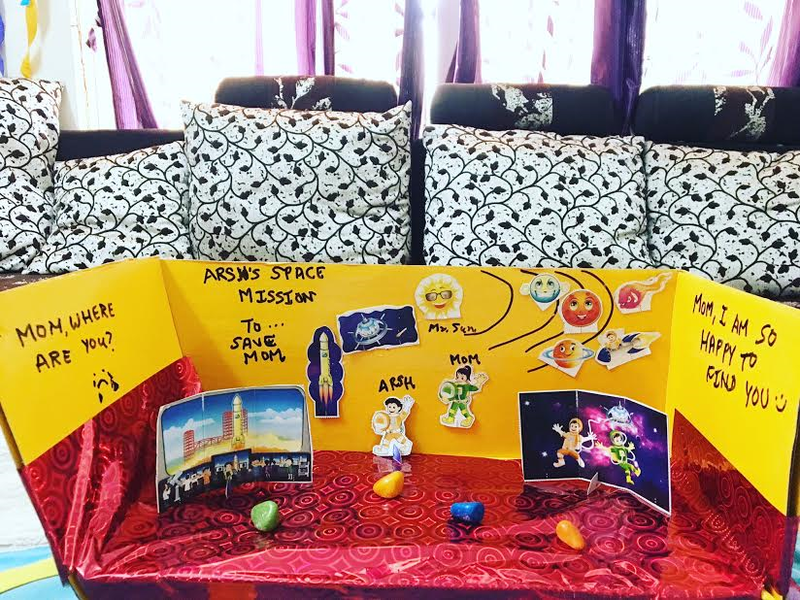 Next, it was time for momma to be surprised with her little bubble's version of his space adventure. He did it even better added with more flavours of versatility when daddy darling came from work in the evening. I share it with you all, my precious readers, below in his own words. "One bright Saturday morn, I got up late only to find mom not being around anywhere. Shiver went down my spines when I called her out many times but no one replied. It's then that my eyes spotted a letter kept on the dining table which stated that an alien from outer space has kidnapped mommy. Without wasting time I wanted to rescue her at all costs before he could harm her. I took the help of the astronaut uncle who visited our school some days back who took me to space with him in a rocket. He dropped me on a manned satellite from where I started my search operations in a space ship. Mr. Sun told me that I must check with Mr.Venus where all pretty ladies stayed. The alien might have trapped her there. But alas I didn't find mom there. On requesting Mr. Mars many times, he revealed he has seen some suspicious activity on the ringed Mr.Saturn where the alien often trapped lovely women who loved rings. I knew mamma loved rings a lot and so I rushed to Mr.Saturn in the way almost skipping a deadly clash with Mr.Comet. Hurray! I found Momma there and rushed to hug her. 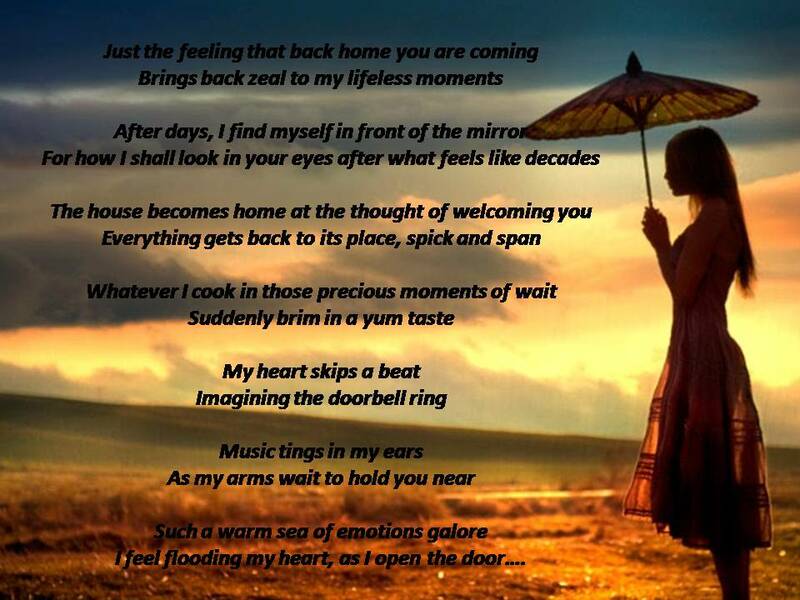 Tears rolled down my eyes for I have found my treasure my world back. Mom cuddled me in her arms like she always does. I planned to start back before the deadly alien arrived back and was about to take a flight, that's when I fell from my bed and woke up from my dream . Mom ran to comfort and hug me and I was most delighted to get her back both in my dream and reality. Trust you liked my little sweetheart's space Adventure Escapade to save his mommy as much as we loved hearing it from him ounce by ounce.